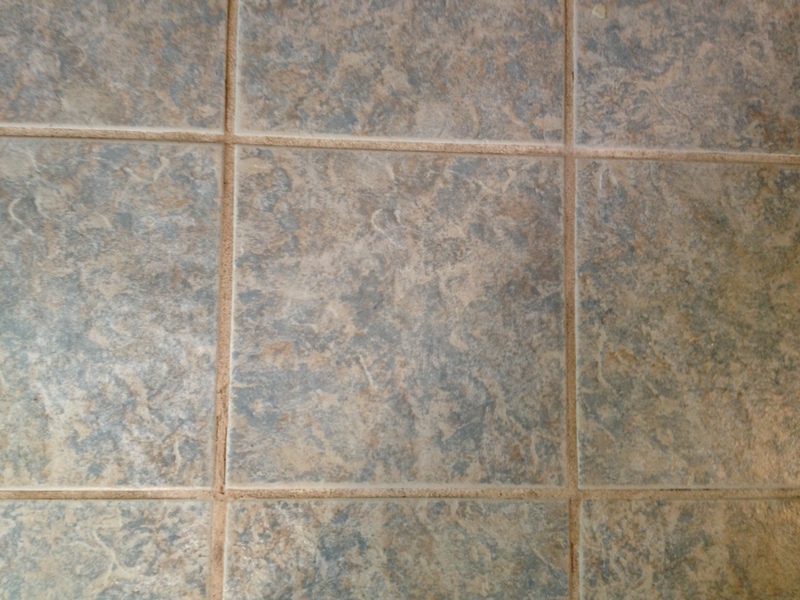 Even though there are several recipes online that claim to easily clean grout, I haven’t found one that lives up to its word, which explains why there are companies that charge hundreds to do the job. So, when a customer/friend forwarded a Facebook post with this concoction, I was skeptical. 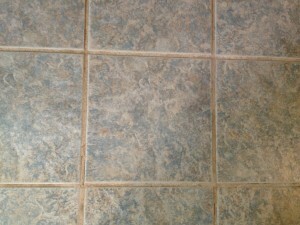 The picture attached to the post showed dirty grout side-by-side with clean grout that had obviously been photoshopped. However, I like a challenge so I gave it a try. 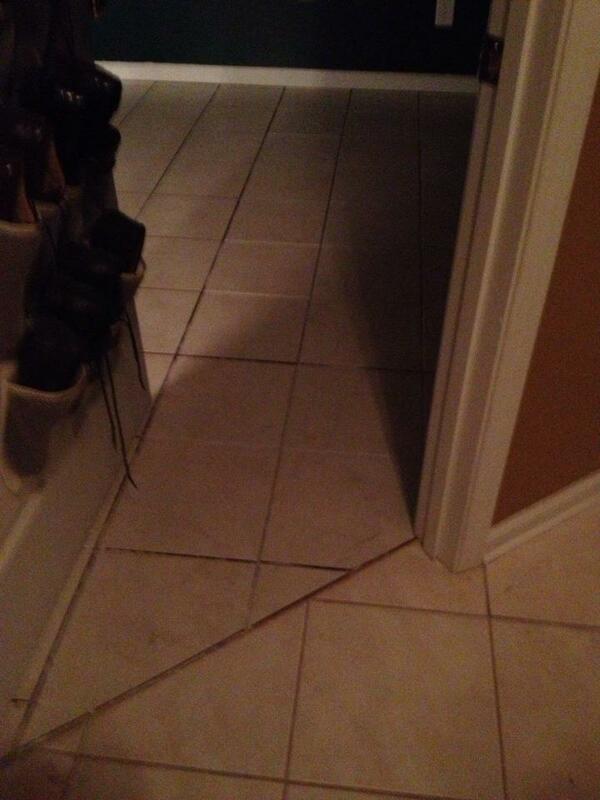 It worked better than I expected and the floor owner most happy with the results. 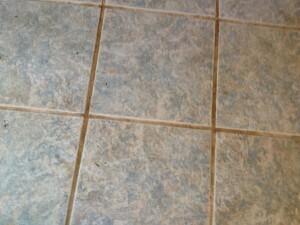 Here’s the recipe for cleaning grout and some tips that made the job, no, not easy, but easier. Mix together and pour into a spray bottle. 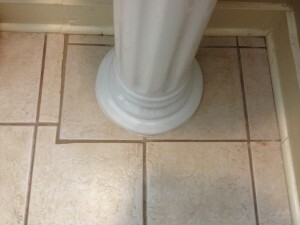 Spray on grout. Wait two minutes, then scrub. Mop until all residue is removed. Scrub vigorously with a stiff bristled brush. This is part of the trick to cleaning the grout, although the solution does loosen the dirt more so than other cleaners with which I experimented. 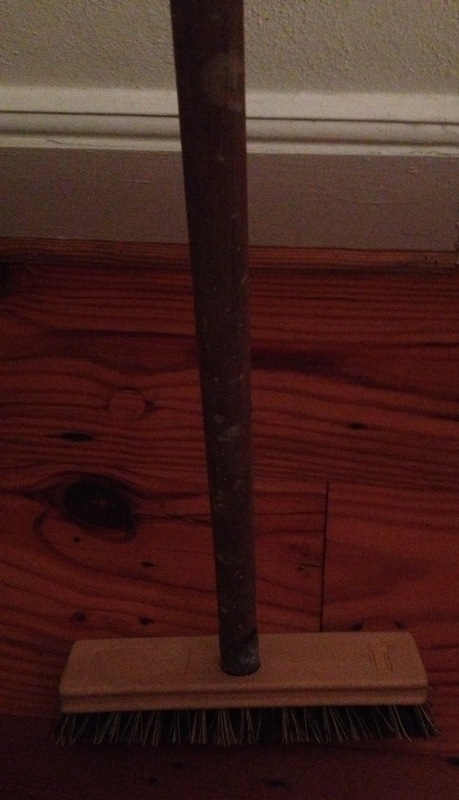 Buy a brush with a long handle to make the work easier on your back and knees. 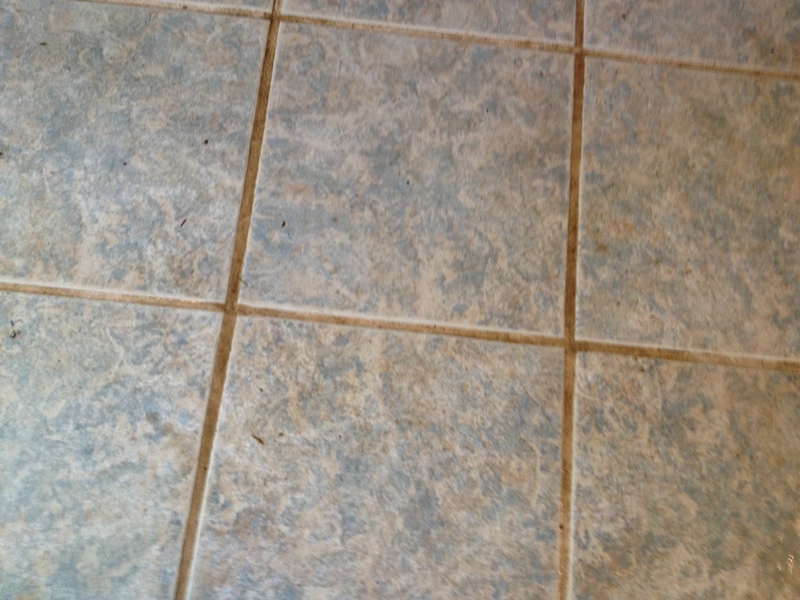 Mop repeatedly after cleaning grout to remove powdery residue left by baking soda. Here is a list of random tips especially for our SCI – Southern Coast Improvement readers, tips for around the house and on the road. Just call us Heloise’s helpers. Twist ties from electronic and other purchases are long enough to tie around and organize electrical cords. Dawn takes out greasy stains from clothes, as well as some collar and deodorant stains. 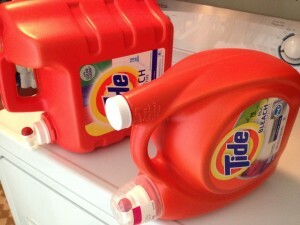 Keep a small bottle in the laundry room for convenience. Be sure to test on an inconspicuous place on fabric, although I’ve never had it ruin anything. To refresh during a long drive, take a wet washcloth in a plastic bag and wipe your face often. 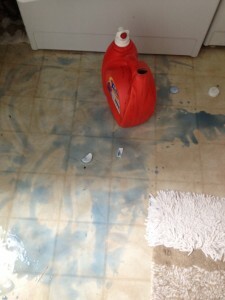 Colored sink mats don’t discolor from coffee like the clear ones. If you travel with pets, pack a dog bag similar to a diaper bag for babies. It’s convenient to keep food and water bowls, a blanket, and chew toys packed if you travel often. Just add food. Same as with the doggie bag, if you’re a frequent traveler, buy two of everything and keep your makeup bag packed and ready to go. 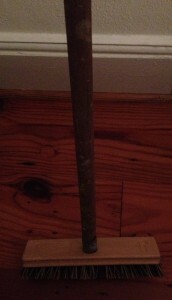 Next time you visit a home improvement store, purchase a cobweb remover with an extended handle. It’s easy to brush the webs off windows and out of corners. In between your dog’s baths, use Boot and Barkley Grapefruit Grove Deodorizing Dog Spray from Target. There are more expensive brands, but for $3.99 this one works fine to neutralize your pet’s odor. Spray on your dog’s fur and rub it in. Stock up on cleaning supplies like Soft Scrub and Magic Erasers under every sink so you’re not tempted to skip cleaning. 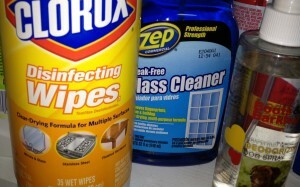 Clorox wipes work, wiping away grease from the microwave, toaster and stovetop. They’re handy on trips to sanitize hotel rooms. 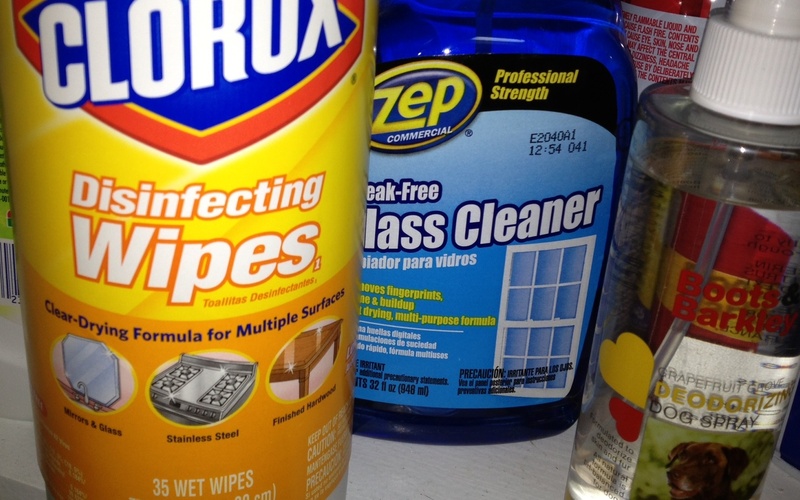 Zep’s products are SCI’s brand of choice for cleaning windows and bathrooms. The mildew remover works overtime so be careful during application. It bleaches anything and everything. Call if you need us @ 843-421-9255. Ask for John at SCI – Southern Coast Improvements. PEX or cross-linked polyethylene is a piping system that has been around the United States since the 80’s. However, it’s just now gaining popularity because of its reliability and other advantages over metal pipe like copper and rigid plastic pipe like PVC. PEX makes it easy to plumb new construction, as well as replace old pipes in existing structures. PEX is flexible plastic tubing; therefore, it bends around corners for easy replacement/installation. Durability and low maintenance makes PEX a more appealing choice since it doesn’t corrode like copper or split at the joints and burst during freezing temperatures like PVC. Instead, PEX stretches so no more broken pipes. Pricing is reasonable. 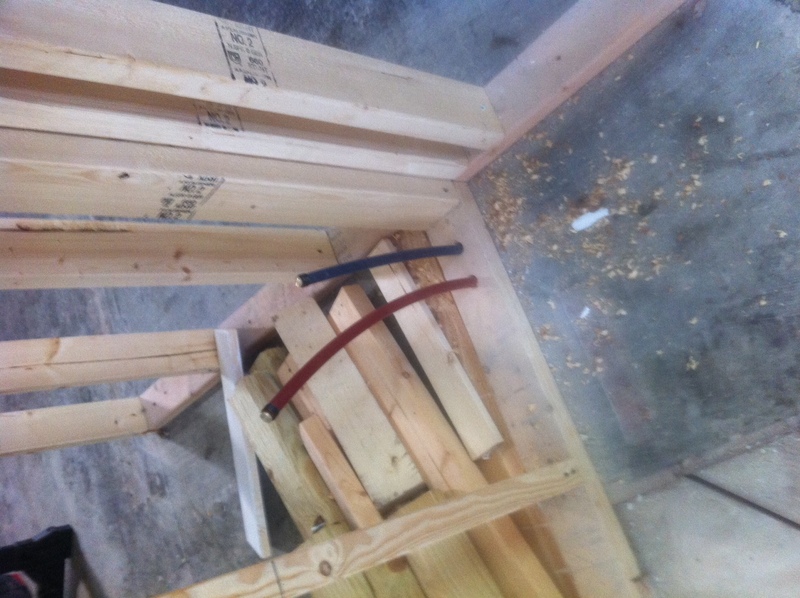 PEX’s cost is comparable to PVC and a good bit less than copper. 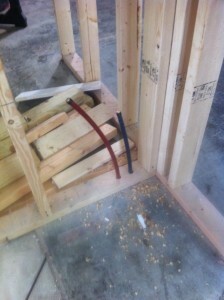 Installation is also reasonable because PEX requires no soldering or gluing. Instead it’s quick and easy to fasten together by crimping the rings at each end. 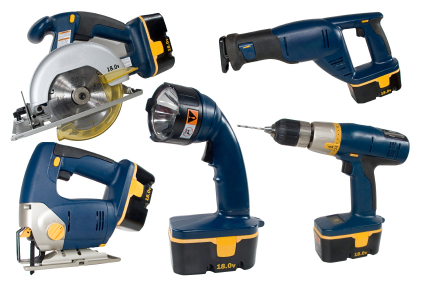 Installation requires special tools that add to the cost when the project is DIY. 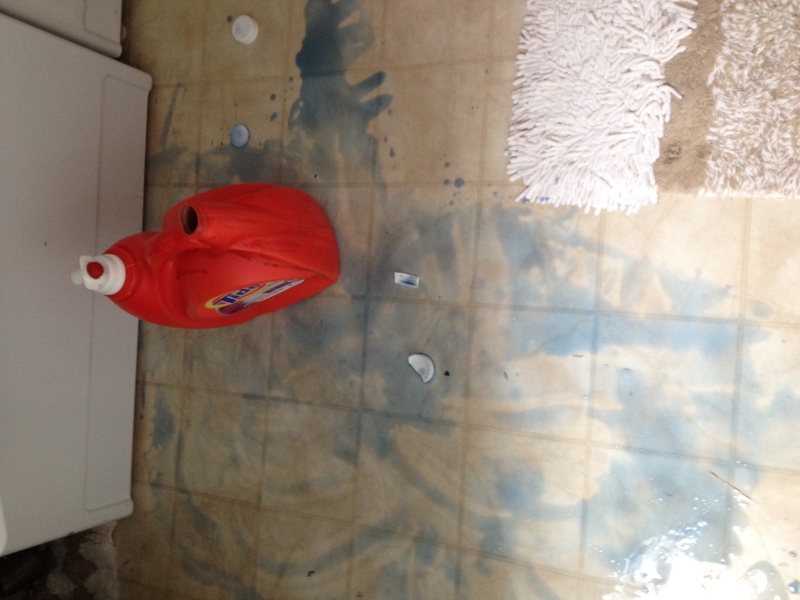 Deterioration and splitting may occur if PEX is regularly exposed to sunlight. For more information, or if you have questions, call SCI – Southern Coast Improvements at 843-421-9255. SCI has come up with a washable and permanent way to solve the problem of rust on refrigerators. 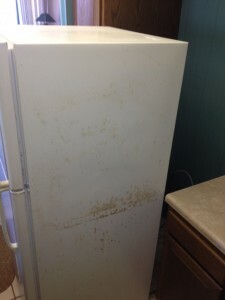 Condo refrigerators are exposed to salt air and harsh cleaning chemicals that cause the exteriors to prematurely rust. Painting is a temporary solution to an ongoing problem. Over time, the rust shows through along with more of the same. The solution is to conceal the rust by attaching a safe, protective, and relatively inexpensive covering called FRP (fiber reinforced plastic). 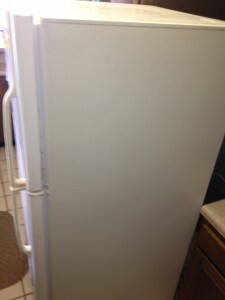 The panels come in white and almond, and are textured much like the “skin” of the refrigerator. 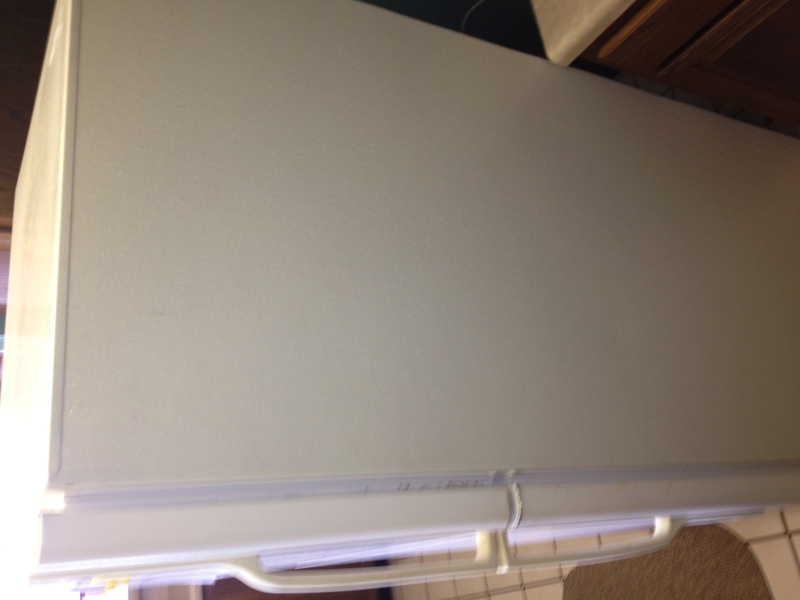 For about one fifth the cost of a new refrigerator, SCI can apply a new side and cover the ugly rust. 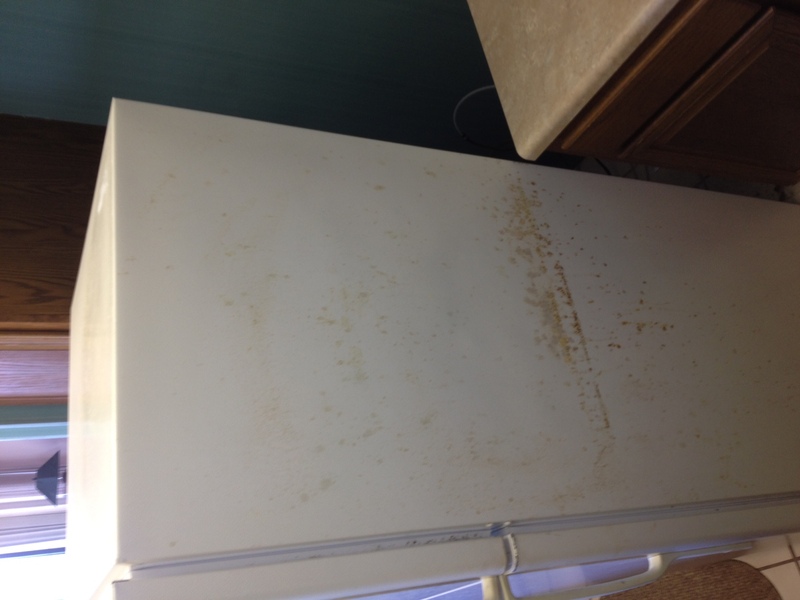 If you’d like a quick fix for your rusted refrigerator, call SCI – Southern Coast Improvements at 843-421-9255. “Is this a repair job or is it time for a new roof?” is a likely question when you notice a stain on your ceiling or walls, see water drip from above, or step in a puddle indoors when the dog’s been outside all morning. Before we were in the home improvement business, our brand new neighbor’s living room ceiling sprung a leak around the light fixture. It happened four days after buying the 50-year-old ranch style home. John volunteered to take a look at their roof. He figured the flashing around the fireplace was the culprit because it was a problem for the previous owners. Since the leak was at least eight feet from the hearth, the new homeowners couldn’t be convinced the water was likely running down the angled trusses and coming in at the first opening. They called a roofer who was happy to replace the seven-year-old roof. Other neighbors, not so anxious to spend thousands of dollars, gladly let John take a look at their leaky roofs. The most common problem is a leak originating from a place where the roof butts up against something like a vent fan, skylight or chimney. Sometimes a tree limb that constantly rubs the roof will scrape off a shingle, or wind from a storm may blow off several. Leaks also occur when a rusty nail or two pop up and leave just enough of a hole to let rainwater drip down to stain the ceiling. None of these isolated problems call for a roof replacement. Flashing can be difficult to seal tight but it is doable. Shingles can be replaced. Tar around a rusty nail will close the hole and stop the leak. For standard asphalt shingles, replacement is recommended when a roof is nearing 15 to 20 years old. Other materials may last longer. The lifespan depends on the roofing material and the climate. If the environment is harsh, it can shorten a roof’s duration. Winds, as well as winters with ice and snow, do damage. Even if the warranty is for longer there are some telltale signs that point to replacing the roof anyway. Roofing concerns usually show up on the inside first by way of dark spots on the ceiling, drips and puddles. 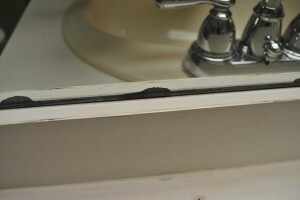 Bubbled paint and wallpaper on upper interior walls most likely indicate a leaky roof. And water damage and discoloration of the attic boards are dead giveaways to a roofing problem somewhere up there. When inside warnings appear in several different places and repeat themselves, it’s time to look around outside to make a decision about putting on a new roof. Exterior signs that the roof may need to be replaced include cracked, curling and decaying shingles, shingles covered in algae, and ones that are faded looking. Bowed shingles usually have underneath them rusty nails that have pushed up over time and indicate a roof on its way out. It’s easier to make a choice about whether to repair or replace by determining the approximate age of the roof and looking for the above indicators to evaluate the roof’s condition. These steps will help in making an informed decision when you decide to do the work yourself or call an experienced contractor/roofer. 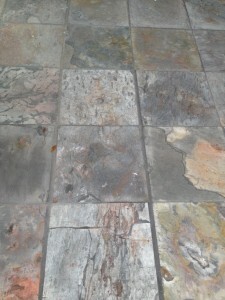 For more information and a free consultation, call SCI – Southern Coast Improvements at 843-421-9255. The first sign of an aging bathroom mirror is deterioration/darkening around the edges, usually because of moisture from the sink. You can have a mirror resilvered, but it’s probably not worth the cost unless you’re restoring an antique. 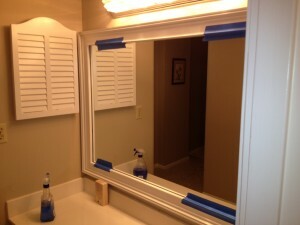 A less expensive solution for a simple design without a beveled rim is to dismount the mirror and have a glazier cut off the damaged edges. Another affordable option is to cover the damage with an attractive frame like in this picture. 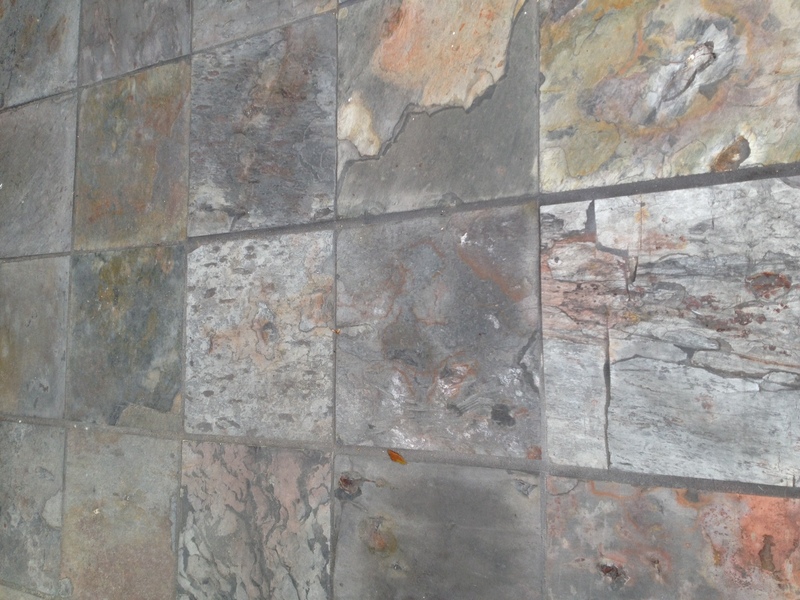 Call SCI – Southern Coast Improvements at 843-421-9255 for a free consultation. 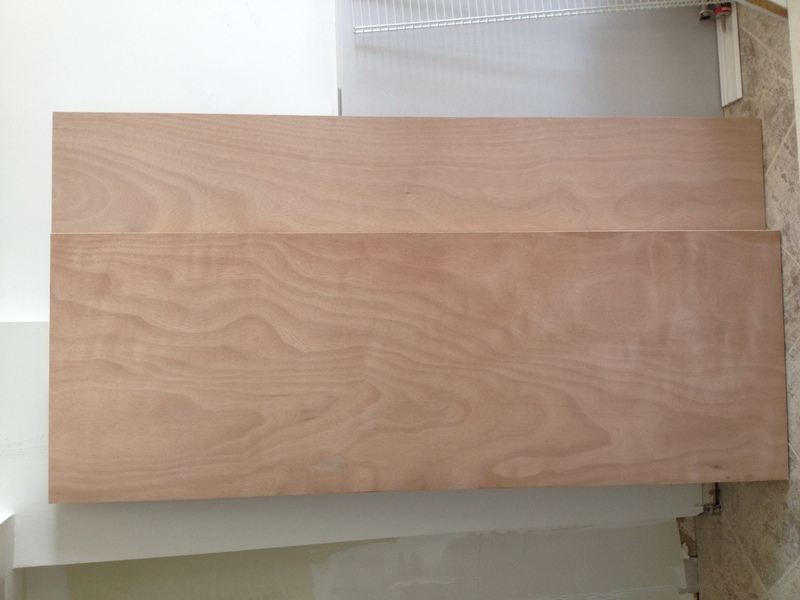 I accidentally stumbled onto a painting tip for Luan doors when we remodeled two closets in our home. I wanted the doors painted the same color as the bedroom walls, except with a semi-gloss finish. I primed both closet doors and painted one of them with semi-gloss paint. The other, I painted with flat since we ran out of semi-gloss. When I put a second coat on both doors, turns out the one painted with an undercoat of flat paint took the semi-gloss coat more easily. The flat paint filled in the grainy wood and made for a smoother semi-gloss topcoat. 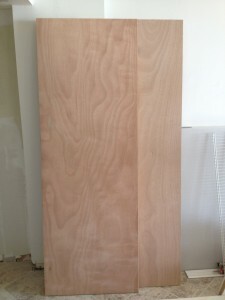 Lightly sand between coats with 150 grain or finer sandpaper. Do you have doors that need installing, fixing or painting? Call SCI – Southern Coast Improvements at 843-421-9255.